This fire engine was built by volunteers of a newly formed Company 3. Using the term Hook & Ladder for this truck was kind of misnomer. It was more of a pumper than a ladder truck and had a Hale pump that was driven by a Chrysler engine. The chassis was a 1949 International KB truck. The fire apparatus was provided by Van Pelt. 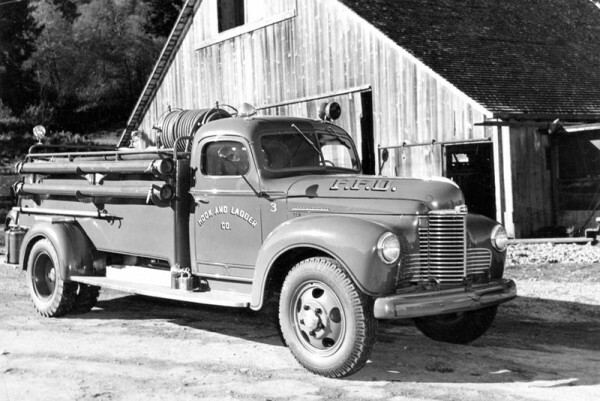 This truck was in service until 1969, when it was sold to College of the Redwoods.